CARMAT (FR0010907956, ALCAR), the designer and developer of the world’s most advanced total artificial heart, aiming to provide a therapeutic alternative for people suffering from end-stage biventricular heart failure, and the European Investment Bank (EIB), which is the bank of the European Union (EU), today announce the signing of a €30 million loan agreement supported by the European Fund for Strategic Investments (EFSI), the central pillar of the Investment Plan for Europe – more commonly known as the Juncker Plan. 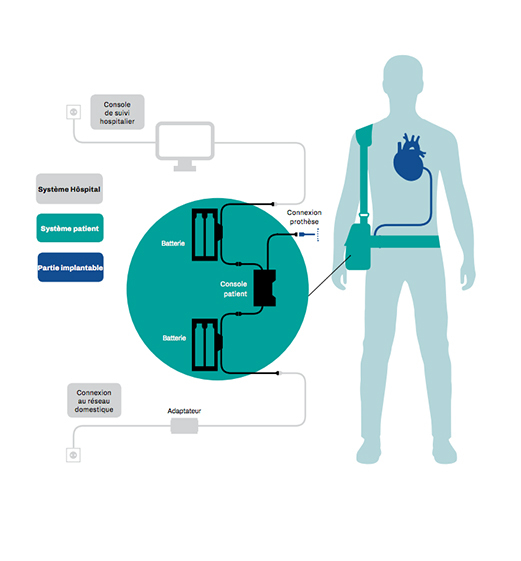 CARMAT (FR0010907956, ALCAR), the designer and developer of the world’s most advanced total artificial heart, aiming to provide a therapeutic alternative for people suffering from end-stage biventricular heart failure, today announces the appointment of Pascale d’Arbonneau as Chief Financial Officer. She began her career in 1989 as an auditor at Coopers & Lybrand (now PWC) before entering the pharmaceutical industry as Head of Finance & IT France at Johnson & Johnson – MSD (1995-1999). She spent most of her career (1999-2016) at GlaxoSmithKline (GSK). She joined as Director, Head of Controlling & Finance Partnering, France at GlaxoWellcome, just before its merger with SmithKline Beecham, managing a team of 20 people working on the combination of the two companies. She then held a number of senior positions within the Group (Vice President & Finance Controller, Pharma Europe from 2006 to 2010, Vice President & Area Finance Director, Western Europe from 2010 to 2014) before becoming Vice President Compliance and Control Integration for all business units worldwide. “I am delighted to join CARMAT at a time when the Company is preparing to reach major milestones in its development, to continue the excellent work accomplished thus far on both the financing front and the industrialization front. I look forward to working in collaboration with the team to put in place a detailed financial roadmap and accompany the Company’s growth”, says Pascale d’Arbonneau.